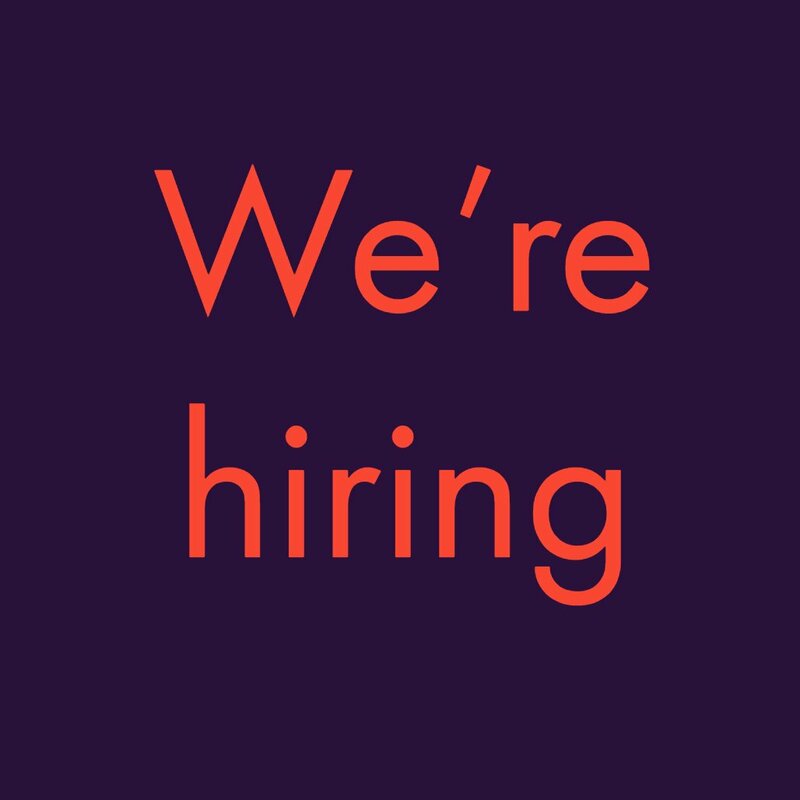 Hello, Androidsters! Waiting for your weekly dose of best and new apps? Here you go! 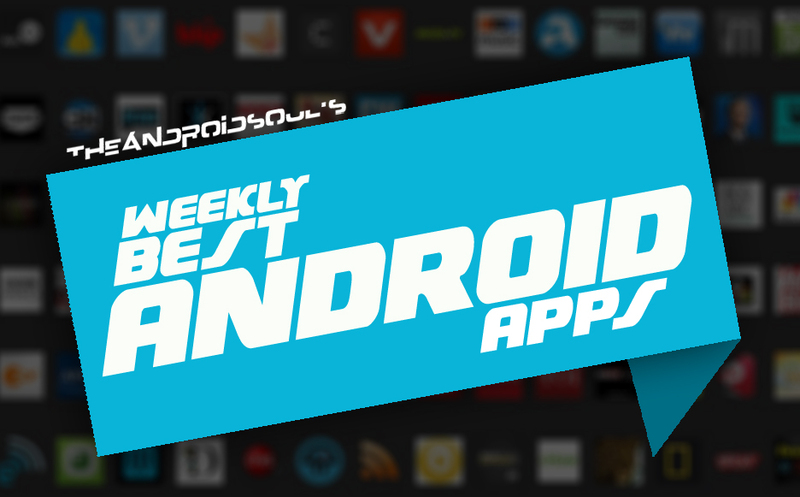 In this weekly round up, you’ll find new and less popular cool Android apps. You’ll be finding great new apps to try, plus cool apps from the past that haven’t been much popular but are definitely worth checking out. Hope you enjoy this! Also, stay tuned with us on Google+, Twitter or Facebook for more next week and so forth. Can you assure yourself that your phone won’t be stolen some day? No, right! But even if it’s stolen, there are many security apps (For eg. 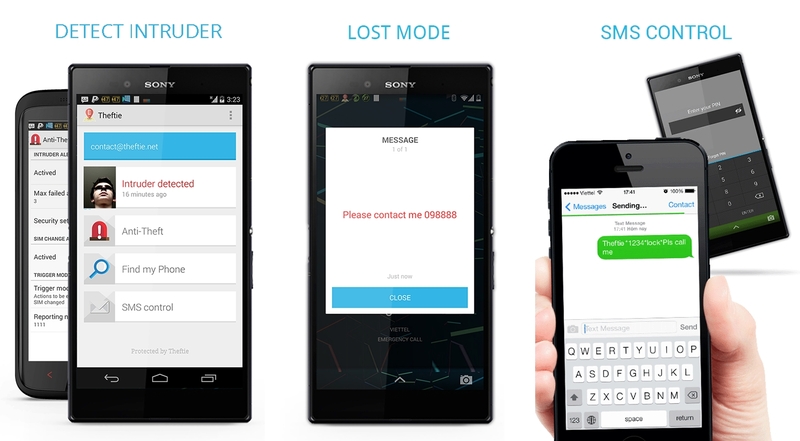 Lookout) in Play store that helps you locate your phone. Theftie is a new similar security app that brings new and innovative features to the table. The name of the app sounds similar to selfie for a reason, it can take selfie of the thief. ☆ Rescue data: upload apps/folders to your Google Drive in case you lost your device. Theftie is an advanced app and needs Root and Xposed module for all the features to work. It is completely free for download from Play store and contains no in-app purchases. Flavourit is a new recipe management app that lets you quickly and easily create and store recipes as attractive, interactive cards. If you are the type of person who like to cook, and love searching for new recipes, this is the app that you should download. It has a very beautiful UI that makes it easy to see exactly which ingredients are needed and when. You like cooking and you enjoy delicious food? Maybe you wish you had a little helper which reminds you of your favorite recipes? flavourit – small enough to practically fit in every pocket – can be your great helper! 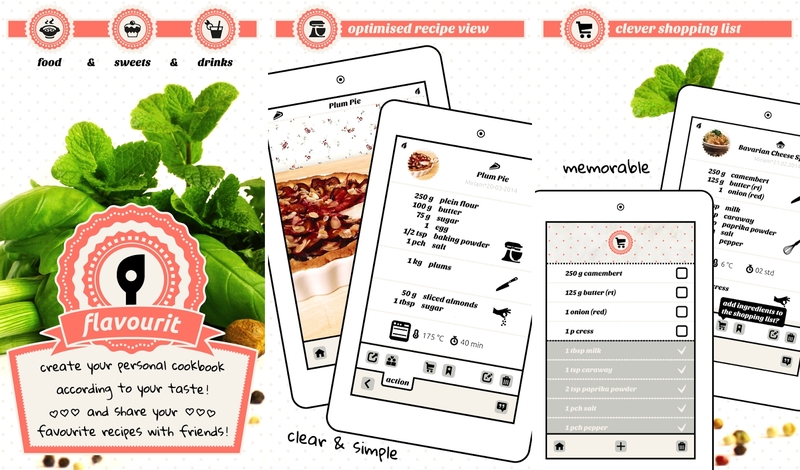 Create your personal cookbook according to your taste and share your favorite recipes with friends! It’s about time to be proud of what you’re conjuring each day! * Create your own recipes quick and easy. * Lovingly designed icons simplify the input process and save yourself from writing long phrases. * 3 main categories (food,sweets,drinks) and 46 subcategories offer ample space for all your recipes. * Mark your recipes as veggie or vegan. * Add your own food photos. It has been available on ios for some time, and now it’s released for Android. It is available as a free download from Play store and offers in-app purchases. This is an app version of the Guidecentral website, where users can post images and tutorials of things they like and things they’ve made in a range of different categories. The projects in the apps is divided into Crafts, Home, Food & Drinks, etc. Each of the categories include many user submitted DIY projects, ideas etc. all with how-to-do tutorial and images. You must have/make an account in the Guidecentral website to access all the features of this app. 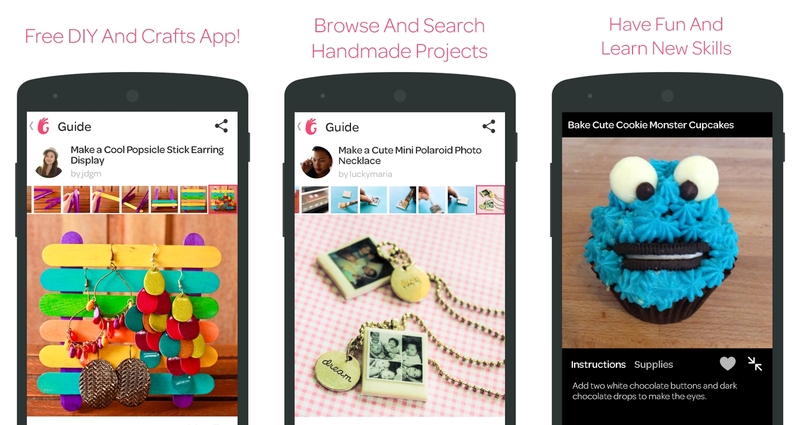 Guidecentral is a fun and simple way to light DIY ideas, learn new skills and meet amazing people who share your passions including handmade crafts, homemade recipes, home decor projects, fashion and beauty tips, and other lifehacks. Install the app now, it’s absolutely free! – Browse popular categories – Crafts, Home, Food & Drinks, Fashion, Beauty and Technology. – light what DIY topics are trending right now – Paper Crafts, Needlework, Jewelry, Decor, Nail Art, Desserts, Cake Decorating, etc. – Learn how to make things with basic supplies – Beads, Cardboard, Clay, Fabric, Leather, Paper, Plastic, Thread, Yarn and more. – Create your own profile and stay informed with a live activity feed. – Meet and follow amazing makers and DIY enthusiasts from around the world. – Share any guide on Facebook, Twitter, Pinterest and through Email. Guidecentral is available on Play store for free and contains no in-app purchases. If you are like me who sleeps with earphones and music/video on and forgets to turn off music, this app is for you. 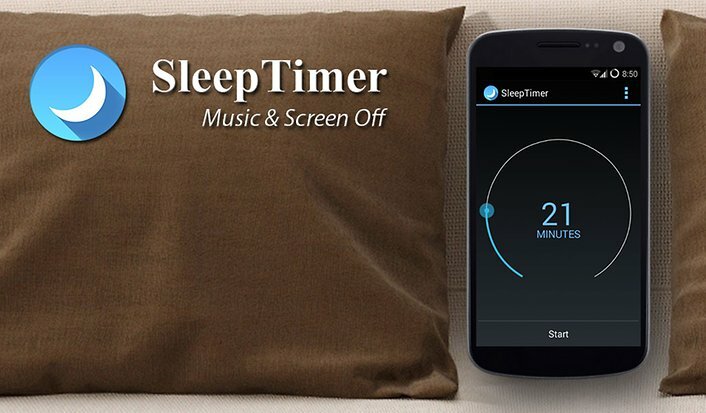 Sleep Timer can pause/stop the music or video and turn off the screen after a pre-defined period of time. It is similar to the sleep timer function in your TV. This app just does this and nothing else, and comes with a beautiful UI. Now you can listen to music or watch stream while falling asleep. Sleep Timer can pause/stop or silence music after a set amount of time and can also turn your screen off. Sleep Timer softly lowers the volume and then turns your music off (not all players are yet supportet). If you have watched a stream Sleep Timer can also turn your screen off. This functions prevent your battery from draining. It is available for free from Play store and contains ads. To enjoy an ad-free experience, you’ll have to make an In-app purchase. Although you might think of video editing as a complicated task but it isn’t always like that. Videoshow app hopes to make it pretty simple. Videoshow video editor let’s you videos, photos and mix them together without much hassle. It also has the option to apply various instagram like effects and music to your photos and videos. Another useful feature is the ability to add subtitles to the video. 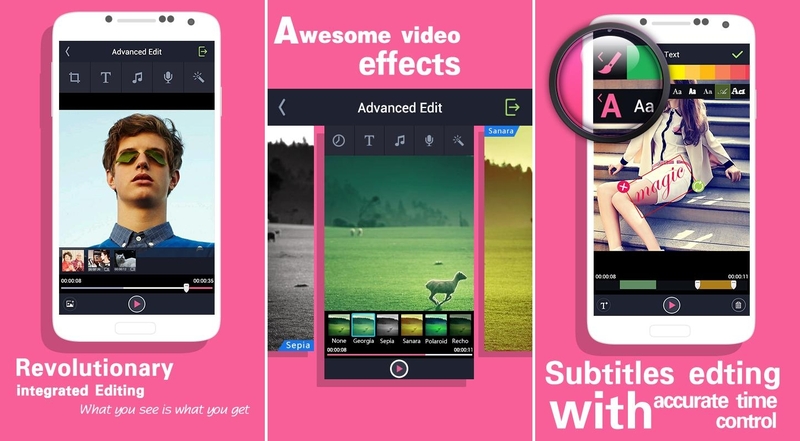 VideoShow video editor is available for free download and contains no in-app purchases. Hashtags, Hashtags, Hashtags! Hashtags are everywhere now, be it twitter, facebook or instagram. Hashtags is a news aggregator app, which brings you the latest news on the subjects of your interest, be it anything. Hashtags let’s you set your own hashtags and personalized news stream. It has a simple and basic UI layout. With Hashtag News you can follow the freshest and hottest messages on Twitter, Google+ and Instagram in real time. With your relevant hashtags you get always the latest news. Make the most out of Twitter, Google+ and Instagram and share it with your friends. Personalize the global flow of information on Twitter, Google+ and Instagram and receive the freshest news in the moment when they arise. Download it for free from Play Store, contains no in-app purchases. Do you suffer from annoying WhatsApp groups, re-muting them week after week? Do you have groups you wish you could mute forever? Customute is going to make your life easier! Download Customute to enjoy full control of you WhatsApp group mutes! 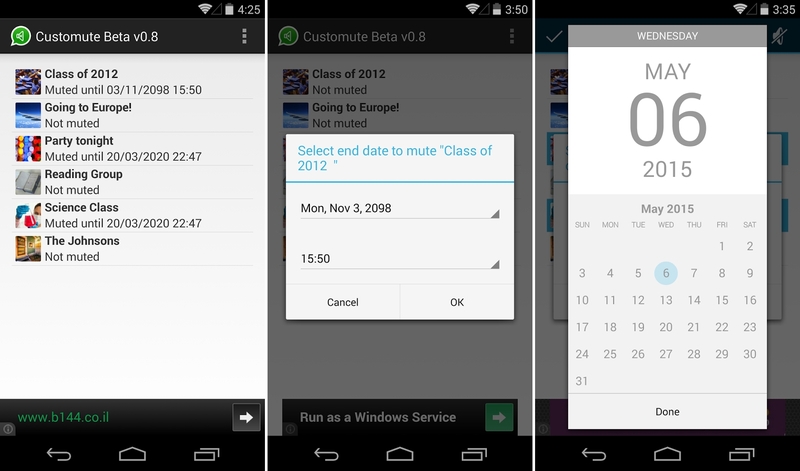 With Customute, you can mute WhatsApp groups for custom periods of time – from one minute to dozens of years. ★ SIMPLE, USER-FRIENDLY INTERFACE: The app interface is intuitive and easy-to-use. Just click on the group you want to mute. ★ EASY TO USE: Mute groups in just two clicks. ★ MUTE MULTIPLE GROUPS: Long-click a group and choose the groups you want, than press the mute button on the top corner. ★ FREE: Customute is totally free! ★ OFFLINE: Does not require internet connection. It is available for free from Play store and is supported by ads. 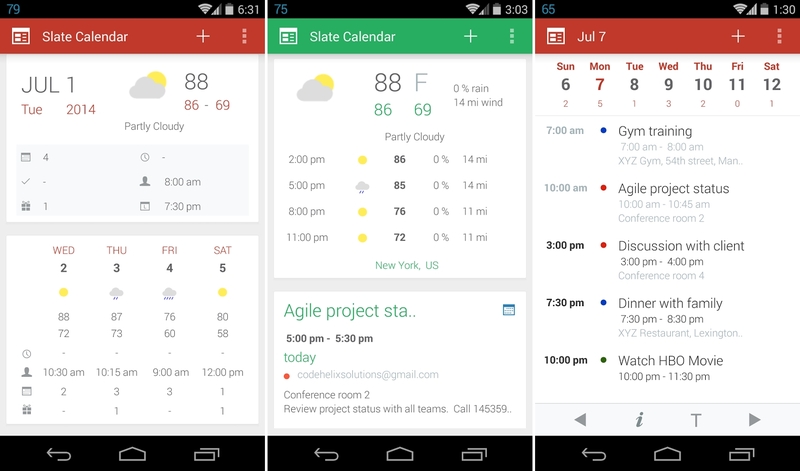 Slate calendar is a Google Now like calendar app. It has a similar UI as that of Google Now. The events and other updates are shown as cards. It provides you a new way to access and organize your events, tasks, alarms and more. It also has Weather updates and Quote of the day buil-in, which are really neat additions to calendars. Slate Calendar is a SMART CALENDAR and DAILY ASSISTANT to help you easily manage daily activities.It provides a very unique and intelligent way to access your events, friends birthdays, weather, alarms, tasks and more. Download it for free from Play store. It contains in-app purchase for more features. Play Store has plenty of note-taking apps (even Google has one — Keep) and pretty much all of them have similar functionality. Quick Note is your another app with a neat user interface for taking notes. 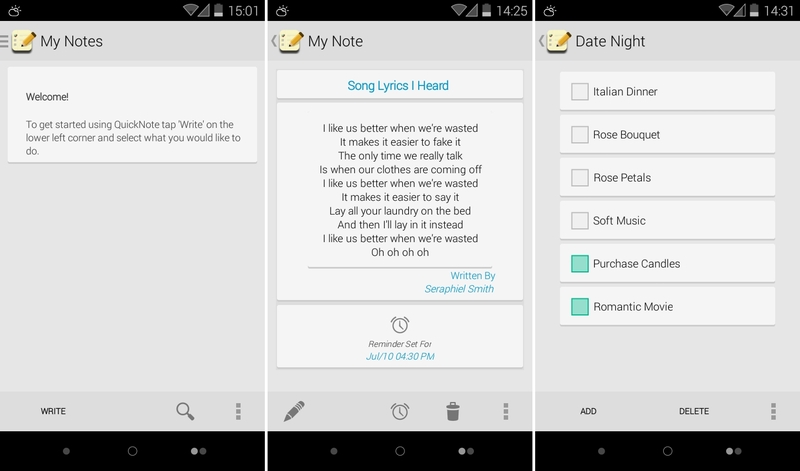 The app has many more features than basic note keeping, like the checklist mode. You can plan your day and strike off the things that have been done, or make up your shopping list. It also let’s you set reminders for your notes and checklists. Quick Note! Is an app that is very Stylish, Smooth, Simplistic, Well Designed and Easy To Use. Planning a surprise party or preparing for a trip? Use Quick Note to easily make a Checklist to see what you still need to do. Set a Reminder to find out more about what you heard. With this simple, small, very useful app you would no longer have the hassle of finding paper & pens for writing a note or making a checklist. Quick Note is free on Play Store and has no in-app purchases. 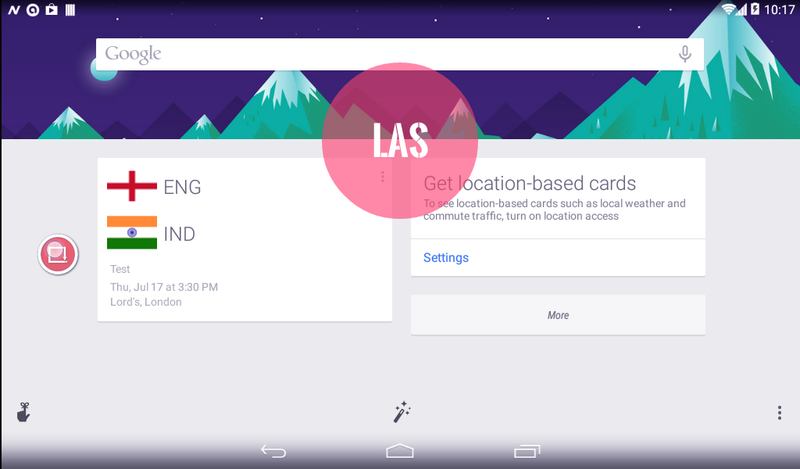 LAS is the missing piece of multi-tasking on Android. It lets you switch back and forth between apps so efficiently that you wish you had it a long time ago. It shows a floating icon on top of all screens on your phone, tapping which switches you to the most recent app you used. Normally, to perform this, you’ll have to launch recent apps and then select the last app. LAS makes this process easier than anything else. Think about the last channel button on your TV remote, which makes switching between two channels as easy as pie. Now think about a button on your mobile/tablet which switches you to the last used application with a single tap. Imagine, you are browsing internet and a message arrives. Normally, you would minimize your browser, open the chatting application, and reply to the message. Then press the recent apps button, find your browser, tap on it, and then continue browsing, huh! Suddenly, another message arrives! With LAS (Last App Switcher), you will be like “tap”, chatting, “tap”, browsing. Envision the figure of precious minutes you are going to save in a day. It is completely free from Play store and contains no in-app purchases.